The anadromous catfish Genidens barbus is a vulnerable and economically important species from the Southwestern Atlantic Ocean. 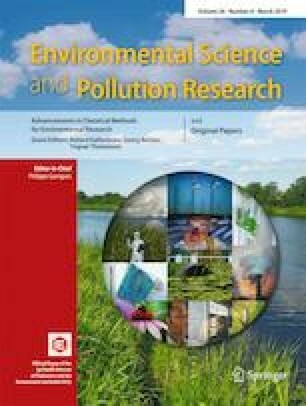 Concentrations of As, Co, Fe, Se, and Zn were determined in water and muscle, gill, and liver of catfish from two southwestern Atlantic estuaries (Brazil and Argentina) and health risk via fish consumption was evaluated. High spatial variability was observed in the metals, As, and Se distribution for both estuaries. Considering all tissues, element concentrations (mg/kg, wet weight) were As = 0.41–23.50, Co = 0.01–2.9, Fe = 2.08–773, Se = 0.15–10.7, and Zn = 3.97–2808). Most of the trace elements tended to be higher in Brazil than in Argentina, except for Co, Fe, Se, and Zn in liver and Fe and Co in muscle and gill, respectively. Arsenic accumulation order was muscle > liver ≥ gill. Only As (muscle) was above the maximum recommended by international guidelines at both estuaries. The target hazard quotient ranged from 0.10 to 1.58, suggesting that people may experience significant health risks through catfish consumption. Supposing that the inorganic/toxic As ranged between 1 and 20% of the total, the recommended maximum intakes per capita bases were 6.1–95 and 8.4–138 kg/year (wet weight) for Brazil and Argentina, respectively. Carcinogenic risk for As intake was within the acceptable range but close to the recommended limit (> 10−4). These results highlights the importance of quantifying the As species in catfish muscle in order to generate more reliable risk estimates. The authors thank Rita Plá for her valuable assistance during the preparation of this manuscript. The also wish to acknowledge the anonymous reviewers for their constructive comments, which helped improve the manuscript. The authors thank CONICET, Universidad de Buenos Aires (UBACYT 20020150100052BA); ANPCyT (PICT 2015-1823); Comisión Nacional de Energía Atómica (CNEA); and CNPQ (141267/2015-1) for financial and logistic support.